Civil religion is a concept that originated in French political thought and became a major topic for American sociologists since its use by Robert Bellah in the 1960s. It means the implicit religious values of a nation, as expressed through public rituals, symbols (such as the national flag) and ceremonies on sacred days and at sacred places (such as monuments, battlefields or national cemeteries). It stands outside the churches, although church officials and ceremonies are sometimes incorporated into the practice of civil religion. Italian historian Emilio Gentile has studied the roots and development of the concept and proposed a division of two types of religions of politics: a civil religion and a political religion. These two conceptions (sociological and political) of civil religion substantially overlap. In Britain, where church and state are constitutionally joined, the monarch's coronation is an elaborate religious rite celebrated by the Archbishop of Canterbury. In France, secular ceremonies are separated from religious observances to a greater degree than in most countries. In the United States of America, a president being inaugurated is told by the Constitution to choose between saying "I do solemnly swear..." (customarily followed by "so help me God", although those words are not Constitutionally required) and saying "I do solemnly affirm..." (in which latter case no mention of God would be expected). The religion of the Athenian polis was a secular polytheism focused on the Olympian Gods and was celebrated in the civic festivals. Religion was a matter of state and the Athenian Ecclesia deliberated on matters of religion. 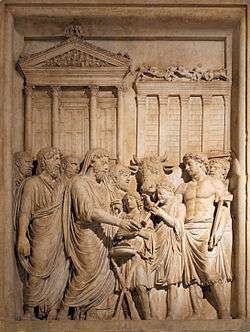 Atheism and the introduction of foreign gods were forbidden in Athens and punishable by death. Socrates was charged, tried, found guilty and condemned to death by drinking hemlock by the Athenian ecclesia. The charge was that he worshipped gods other than those sanctioned by the polis. The phrase "civil religion" was first discussed extensively by Jean-Jacques Rousseau in his 1762 treatise The Social Contract. Rousseau defined "civil religion" as a group of religious beliefs he believed to be universal, and which he believed governments had a right to uphold and maintain: belief in a deity; belief in an afterlife in which virtue is rewarded and vice punished; and belief in religious tolerance. He said the dogmas of civil religion should be simple, few in number, and stated in precise words without interpretations or commentaries. Beyond that, Rousseau affirmed that individuals' religious opinions should be beyond the reach of governments. For Rousseau civil religion was to be constructed and imposed from the top down as an artificial source of civic virtue. Wallace studies Émile Durkheim (1858-1917), the French sociologist who analyzed civil religion, especially in comparative terms, and stressed that the public schools are critical in implementing civil religion. Although he never used the term he laid great stress on the concept. 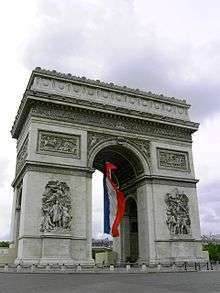 encouraged a veritable state religion, worshiping the flag and multiplying the national holidays and commemorative monuments.... July 14 became a national holiday in 1882; the centennial of the French Revolution was celebrated in 1889. In Italy, the secular state multiplied the celebrations: State holidays, King and Queen's birthdays, pilgrimage of 1884 to the tomb of Victor-Emmanuel II. A patriotic ideology was created. The Soviet Union made Marxism–Leninism into a civil religion, with sacred texts and many statues of Marx, Lenin, and Stalin. Stalin personally supervised the cult of Lenin and his own cult, which took advantage of the historic semi-religious adulation Russian peasants had shown toward the tsars. The Lenin icons were put into storage when Communism fell in 1991. The Stalin statues had been removed in the 1950s and mention of him was erased from encyclopedias and history books. However under Vladimir Putin in the 21st century the memory of Stalin has been partly rehabilitated in search of a strong leader who made the nation powerful. For example, school textbooks were rewritten to portray "the mass terror of the Stalin years as essential to the country’s rapid modernization in the face of growing German and Japanese military threats, and amid the inaction or duplicity of the Western democracies." Civil religion is an important component of public life in America, especially at the national level for its celebration of nationalism. Sociologists report that its "feast days" are Thanksgiving, Veterans' Day and Memorial Day. Its rituals include salutes to the flag and singing "God Bless America." Soldiers and veterans play a central role of standing ready to sacrifice their lives to preserve the nation. Bellah noted the veneration of veterans. Historian Conrad Cherry called the Memorial Day ceremonies "a modern cult of the dead" and says that it "affirms the civil religious tenets." "Behind the civil religion at every point lie biblical archetypes: Exodus, Chosen People, Promised Land, New Jerusalem, and Sacrificial Death and Rebirth. But it is also genuinely American and genuinely new. It has its own prophets and its own martyrs, its own sacred events and sacred places, its own solemn rituals and symbols. It is concerned that America be a society as perfectly in accord with the will of God as men can make it, and a light to all nations." Albanese argues that the American Revolution was the main source of the non-denominational American civil religion that has shaped patriotism and the memory and meaning of the nation's birth ever since. Battles are not central (as they are for the Civil War) but rather certain events and people have been celebrated as icons of certain virtues (or vices). As historians have noted, the Revolution produced a Moses-like leader (George Washington), prophets (Thomas Jefferson, Tom Paine) and martyrs (Boston Massacre, Nathan Hale), as well as devils (Benedict Arnold), sacred places (Valley Forge, Bunker Hill), rituals (Boston Tea Party), emblems (the new flag), sacred holidays (July 4) and a holy scripture whose every sentence is carefully studied and applied in current law cases (The Declaration of Independence, The Constitution and The Bill of Rights). In the 1960s and 1970s, scholars such as Robert N. Bellah and Martin E. Marty studied civil religion as a cultural phenomenon, attempting to identify the actual tenets of civil religion in the United States of America, or to study civil religion as a phenomenon of cultural anthropology. Within this American context, Marty wrote that Americans approved of "religion in general" without being particularly concerned about the content of that faith, and attempted to distinguish "priestly" and "prophetic" roles within the practice of American civil religion, which he preferred to call the public theology. 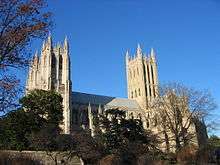 In "Civil Religion in America," a 1967 essay, Bellah wrote that civil religion in its priestly sense is "an institutionalized collection of sacred beliefs about the American nation." Bellah describes the prophetic role of civil religion as challenging "national self-worship" and calling for "the subordination of the nation to ethical principles that transcend it in terms of which it should be judged." Bellah identified the American Revolution, the Civil War, and the Civil Rights Movement as three decisive historical events that impacted the content and imagery of civil religion in the United States. The application of the concept of civil religion to the United States was in large part the work of sociologist Robert Bellah. He identified an elaborate system of practices and beliefs arising from America's unique historic experience and religiosity. Civil Religion in the U.S. was originally Protestant but brought in Catholics and Jews after World War II. Having no association with any religious sect, Civil religion was used in the 1960s to justify civil rights legislation. Americans ever since the colonial era talk of their obligation both collective and individual to carry out God's will on earth. George Washington was a sort of high priest, and the documents of the Founding Fathers have been treated as almost sacred texts. With the Civil War, says Bellah, came a new theme of death, sacrifice and rebirth, as expressed through Memorial Day rituals. Unlike France, the American civil religion was never anticlerical or militantly secular. This assertive civil religion of the United States is an occasional cause of political friction between the U.S. and Europe, where the literally religious form of civil religion has largely faded away in recent decades. In the United States, civil religion is often invoked under the name of "Judeo-Christian ethics", a phrase originally intended to be maximally inclusive of the several religions practiced in the United States, assuming that these faiths all share the same values. Alvin J. Schmidt argues that since the 1700s, expressions of Civil Religion in the United States have shifted from a deistic to a polytheistic stance. Some scholars have argued that the American flag can be seen as a main totem of a national cult, while others have argued that modern punishment is a form of civil religion. Arguing against mob violence and lynching, Abraham Lincoln declared in his 1838 Lyceum speech that the Constitution and the laws of the United States ought to become the ‘political religion’ of each American. ↑ William H. Swatos; Peter Kivisto (1998). Encyclopedia of Religion and Society. Rowman Altamira. pp. 94–96. ISBN 9780761989561. ↑ Bellah, Robert Neelly (Winter 1967). "Civil Religion in America". Journal of the American Academy of Arts and Sciences. 96 (1): 1–21. Archived from the original on 2005-03-06. ↑ Gentile, Emilio (2006) . Le religioni della politica [Politics as Religion]. Princeton University Press. ↑ Ronald Beiner, "Machiavelli, Hobbes, and Rousseau on civil religion." The Review of Politics (1993) 55#4 pp: 617-638. ↑ Quoted in Dana Lindaman; Kyle Roy Ward (2013). History Lessons: How Textbooks from Around the World Portray U.S. History. New Press. p. 148. ISBN 9781595585752. ↑ Nina Tumarkin, Lenin Lives! : The Lenin Cult in Soviet Russia (Harvard University Press, 1983). ↑ Thomas Sherlock, "Confronting the Stalinist past: the politics of memory in Russia." The Washington Quarterly 34.2 (2011): 93-109, quote p 97. ↑ Steve Bruce; Steven Yearley (2006). The SAGE Dictionary of Sociology. SAGE Publications. p. 34. ↑ John D. Wilsey (2015). American Exceptionalism and Civil Religion: Reassessing the History of an Idea. InterVarsity Press. p. 24. ↑ Robert N. Bellah, "Civil Religion in America" at the Wayback Machine (archived March 6, 2005), originally in Dædalus, Journal of the American Academy of Arts and Sciences, Winter 1967, Vol. 96, No. 1, pp. 1–21. Davis, Amos Prosser. "International Civil Religion: Respecting Religious Diversity while Promoting International Cooperation" (2011), U.C. Hastings International and Comparative Law Review <http://works.bepress.com/amos_davis/>. Hostetler, Michael J. "Joe Lieberman at Fellowship Chapel: Civil Religion Meets Self-Disclosure." Journal of Communication and Religion 25 (September 2002): 148-165. Remillard, Arthur (2011). Southern Civil Religions: Imagining the Good Society in the Post-Reconstruction Era. University of Georgia Press. ISBN 0-8203-4139-8. "Civil religion". Encyclopedia of Religion and Society. Archived from the original on 2006-09-01. Retrieved 2006-07-04.